A moderately interesting exercise; this is a word-count of the books I’ve had published under the pen-names of Nik Morton, Ross Morton, Robert Morton and Robin Moreton. Total word-count, 1 million, 174 thousand, 950 words – since 2007. That’s not a lot by the standards of many prolific authors. 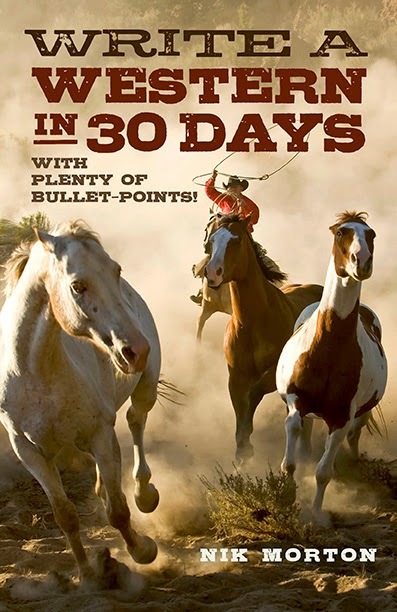 James Reasoner usually aims to write that many words per year! They’re my published words in book format, of course. The actual word-count of books produced (including those discarded, and those not published [yet]) will doubtless add to another million. Naturally, in the above list I haven’t counted A Fistful of Legends (which I edited). One day, I’ll do a word-count of the published short stories, perhaps. For interest, the three books that are works in progress (Catacomb, To Be King and The Khyber Chronicle), they clock up another 46,900 words! In a departure from the norm for our regular weekly slot, the following ‘story’ hasn’t been published in this format before. 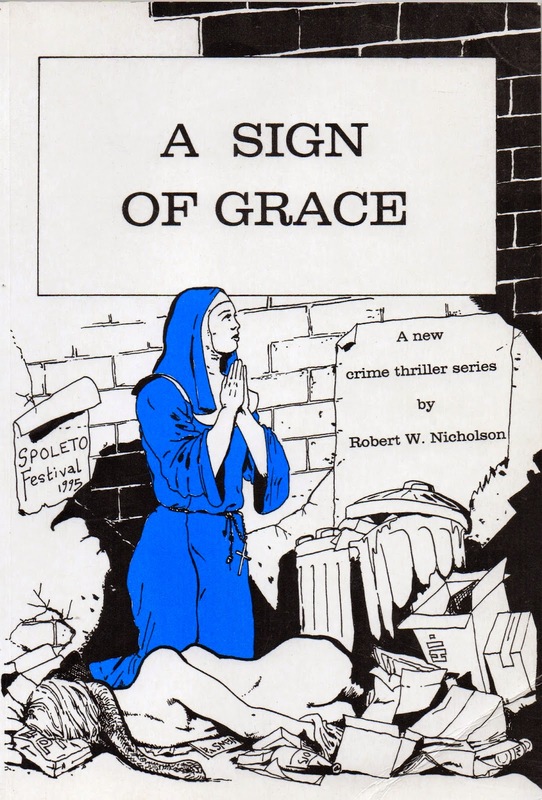 In 1995, I wrote a couple of novellas featuring a nun, Sister Hannah – A Sign of Grace and Silenced in Darkness. 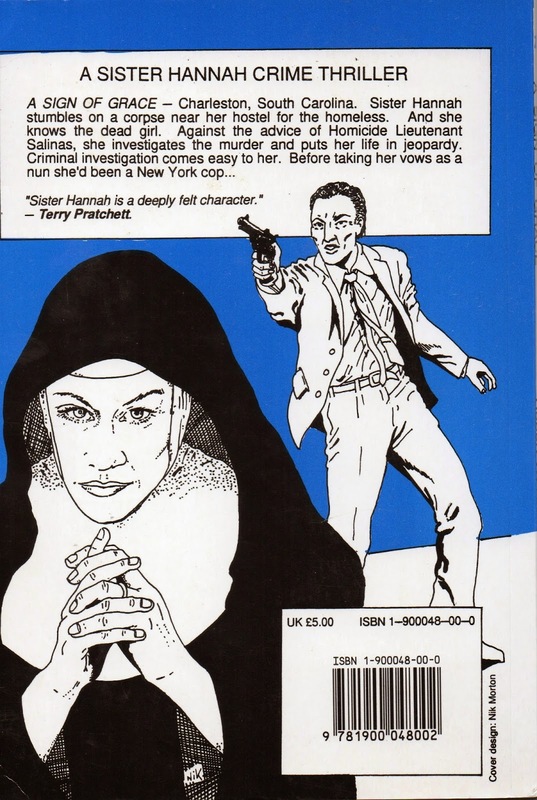 Prior to joining the order of nuns, she’d been a cop in New York. The mother house was situated in Stockbridge – of Norman Rockwell fame. 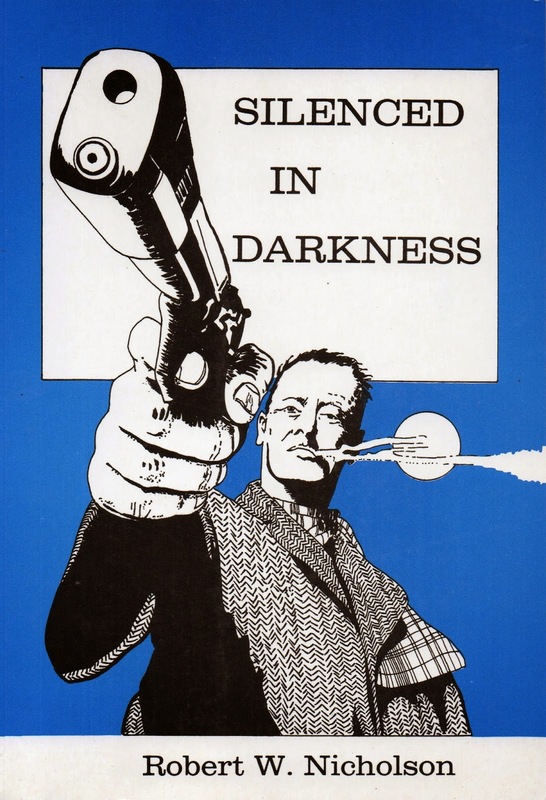 Silenced in Darkness was written in a day and was a runner-up in the One Day Novel Writing Competition, 1995. 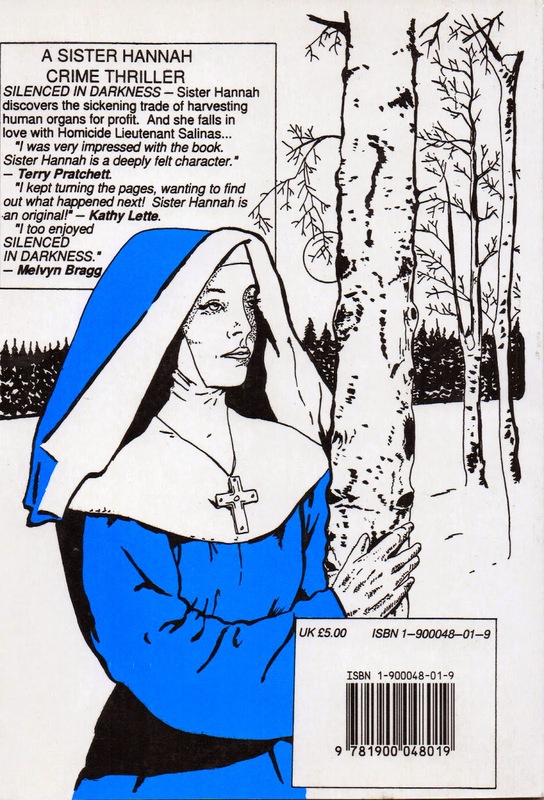 Some years later, while responding to a writers’ circle prompt - My life’s most important work – I decided to incorporate something about Sister Hannah, extracted in letter format from the fledgling novel. (These scenes do not appear in the two novellas, only the novel). That novel eventually transmogrified from its setting in the US to UK, swapping Sister Hannah for Sister Rose, and exchanging New York and Charleston, South Carolina with Newcastle Upon Tyne and London! I also changed it from third person to first person. Quite a rewrite, really. 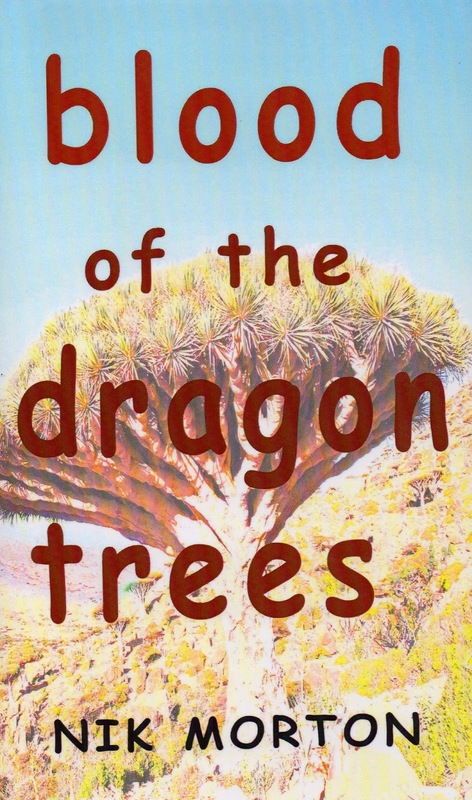 The first chapters of the new version won the Harry Bowling prize in 2006. I hope it’s of interest, anyway. I appreciate you asking me to send you an epistle from time to time. I’m only sorry that there is so little time to spare here to write more regularly. I hope the snows are not too severe at Stockbridge. Of course I miss the other sisters at the Mother House, but I console myself with the thought that each day I am doing my life’s most important work. It is strange, how before I took the veil I thought having children would be the most important work in my life, to nurture them and to teach them responsibility and the wonders of the world all around them. But sadly after that terrible experience while I was a cop, I was never destined to become pregnant. If I wanted to have children, then they would be adopted, and there, on reflection, I have been blessed. When we novices were sent out to our various missions, I was apprehensive about coming to Peru. It’s so unlike the life I was used to. Still, the months I’ve spent here may have been harrowing yet they have also been most enriching. I worked hard and long, in the mud, in the rain, in the strength-sapping heat and in the mind-numbing cold. During the hot months I wore the white cotton habit, and in the cold the black serge. I endured the bites of mites and lice and more than once had to dig out fleas that burrowed under my toenails to lay their eggs. For the first few weeks I wondered how Saint Francis Solano, a seventeenth century Andalusian priest, survived twenty years among the Indians and Spanish colonists. Like him, I learned a number of Indian dialects, but was never going to be in his league - the possessor of a ‘supernatural gift of tongues’. At first, too, I never thought I’d become accustomed to the variety of unpleasant smells: burned grease, onions, smoke, and mildew, body odour, faeces and urine. The comb of eucalyptus trees, planted to break the tearing Andean winds, offered some relief. Sister Colette - named after the fourteenth century nun, not the French writer - was the Mother Superior of the mountain-side white-washed adobe mission. She was frail of body but strong in spirit; she was untiring, wise and full of good humour. Sleeves of my white habit rolled up, I hoed the hard sun-baked red earth. Alongside me worked four villagers, all resplendent in their bright coloured clothes, weathered faces creased by their harsh existence in the mountains. For a moment, I paused and straightened up to massage my lower back. The secret was to stop frequently, to change the body's position. The mountains were glorious at this time of year. Purples and rich greens, cleft with mauve shadows, surrounded by white fleecy clouds and brilliant blue sky. And the air I gulped in was a heady concoction, delightful, filling my chest with a fresh invigorating tang. I felt I could almost touch the sky from here - or even God. Truly, the training at Stockbridge hadn't prepared me for the real thing: nothing could. For the hard work, the dirt and smells were all mitigated by the generosity of spirit these native people exhibited. Their loyalty and innocent humour carried me through many a mood-swing - as did prayer, of course. Now that I had adapted I found it difficult to recall my existence before coming here: the time at Stockbridge and in New York seemed a very distant memory, almost a dream. Since I came to this mountainside village as a novice, my hands had hardened so no longer broke out in blisters. Occasionally, a stray vain thought made me wonder if I would ever be rid of the calluses. But time will heal, I reminded herself. Time was already building a fresh veneer over my New York trauma and tragedy. Thankfully, the nightmares were less frequent. Crows called from the tall trees that skirted the field. The sowing would have to be carefully done if those sinister birds were not to enjoy a free lunch! When the terraced fields were finally flush with maize, I sat in the warm breeze on an outcrop and experienced a pleasant glow of satisfaction. The crop was good for a change. ‘I don't think God will mind you feeling pleased with yourself, Sister,’ said Mother Superior gently. Startled, I stood up and turned. Two months later, during an abortive attack by four Shining Path terrorists, the old lady was fatally wounded. Remembering Isaiah, Therefore have I set my face like a flint, I stoically buried Sister Colette while the nasal five-note songs of the Andean Indians - in Spanish - echoed the loneliness of their bleak mountain country and the lostness of a people stripped and despoiled. With the aid of the villagers and a little cunning, we beat off the next assault and, surprisingly, thereafter came to arrange an uneasy truce with the terrorists. For the remaining eight months until a relief arrived, I was in charge of the mission. In that time I was strengthened by my own faith and the people's belief in my ability; I bargained with and cajoled the authorities to get medicines and to protect the villagers' meagre lands; and I taught the children. The stands of trees, palm and banana, often shrouded by vines and air plants, presented a gorgeous natural cathedral for our prayers. I will always be able to picture the villagers milling around the huge boles of those trees, their heads bowed, the men in their wool ponchos and the women in their heavy shawls, the bright colors of their clothing vying with that of the lush flora. When the time comes for me to depart - the people from all around have already pleaded for me to stay - I know I will be truly reluctant to go. But Obedience decrees that I must. I must close now, the children are asking for their history lessons. They have such a thirst for knowledge. It’s wonderful. 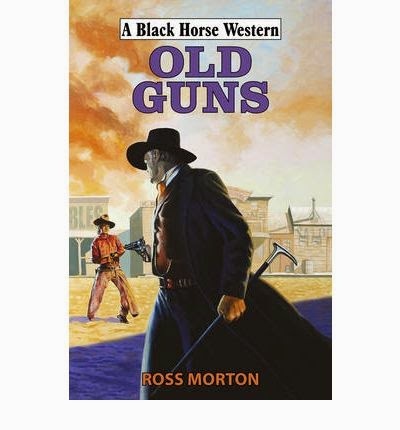 The finished novel became Pain Wears No Mask and was published in 2007; it is now out of print. 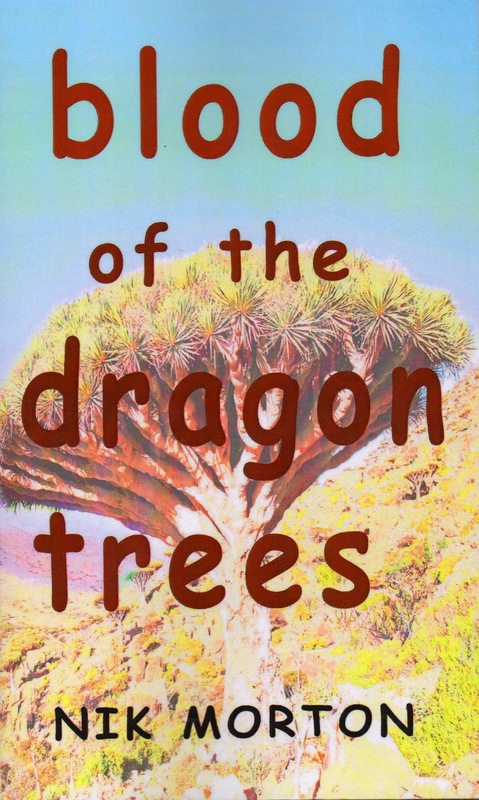 If you liked this, you might like the first person narrative in Spanish Eye, published by Crooked Cat. 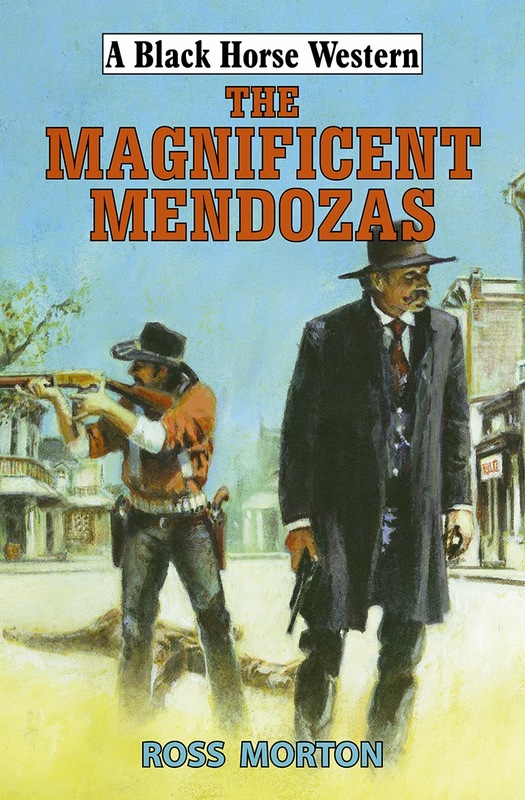 Leon Cazador, private eye, half-English, half-Spanish, ‘in his own words’. FFB - Want to Play? 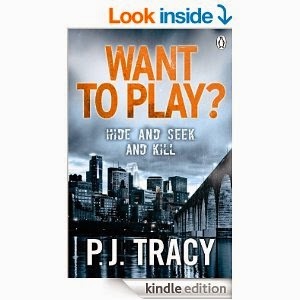 P J Tracy is a mother and daughter writing team, Patricia and Traci Lambrecht, the authors of this debut novel (2003). To avoid awkward sentences I’ll refer to them as one author. The title of this book in the US is Monkeewrench. Tracy has a marvellous grasp of crackling dialogue, some great characters and some very moving scenes. Set in Minneapolis, it introduces us to Grace MacBride, a beautiful yet strangely damaged games-creator and local detectives Magozzi and Rolseth. Grace discovers that two recent murders are exact copies of those in a game she’s designing – the prototype is already out there on the web. And as the game has twenty differing levels, that’s a total of twenty murders. The trouble is, she and her computer-whiz team are also in the frame for the murders. Her company was called Monkeewrench – which was the book’s title in the US. Somebody from their past seems to be putting a spanner in their company’s works – but it’s something Grace and the team won’t talk about. Whatever it was, now Grace never goes anywhere without carrying a weapon, preferably two. But the stars of the books are undoubtedly Leo Magozzi and Gino Rolseth. The detectives’ banter and slant on life make for some great laughs and also some sombre moments. The cops are dedicated and cool and sound real; whether that’s Chief Malcherson (who wears a suit to reflect the mood) or several essential patrolmen, they all have a distinctive voice and attitude to life. Grace’s team have aliases – Roadrunner, Harley Davidson and so on - and according to traceable records they didn’t exist prior to ten years ago. Somehow the Monkeewrench game copycat murders seem linked to the death of an old couple in the church of a little Wisconsin town. It needs patient detective work and Grace’s computer wizardry to get to the bottom of the case – before the deaths mount up into double figures. The ending is fast-paced and poignant. Due to her traumatic past, Grace hasn’t allowed anyone close to her for over ten years. So Magozzi’s relationship with her is tentative at best, but he can’t resist her. He too is one of the walking wounded, a divorced cop. Powerful writing when it comes to death and loss and regrets. There will be confusion about this book’s title and some other P.J. Tracy books. The number of prisoners in Spanish jails is an illuminating indicator of the types of criminals detected in the peninsula. According to the Interior Ministry’s annual report, the numbers incarcerated has fallen in the past five years by 22 percent. There were 76,079 in 2009 and in 2013 there were 66,765. Why this has happened is a moot point, perhaps: either people are more law-abiding, or they aren’t being caught or the judges are more lenient! One in three prisoners in Spanish jails is a foreigner, a quarter of them from Morocco (5,773), followed in this nefarious league table by individuals from Romania (2,275), Colombia (2,257) and Ecuador (1,555) out of a total number of thirty countries being represented behind bars. Some 3,707 people are in prison for homicide or murder, of which 255 are women. 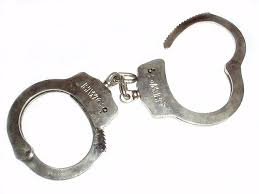 The number serving time for crimes against sexual freedom are 3,087 and for domestic violence there are 3,937. Those jailed for terrorism amount to 494 people (61 of them women) and of these 41 belonged to ETA and 42 were allied to Islamic terrorist organisations. Andalusia houses the most prisoners (15,190), with Cataluna imprisoning 9,797 and Madrid 8,916. While all crime is of concern, because there are always victims, some crimes highlighted here seem particularly worrying - the murders and the terrorist elements in particular. Domestic violence has risen in recent years - again, this could be as a result of a change in the reporting of the incidents, the success of the prosecution or more public awareness. Crimes against sexual freedom can be construed as child sexual abuse, adolescent and dependent individual sexual abuse, homosexual actions with minors and prostitution of minors. Recent reports in the news (Rotherham, UK) suggest that this appalling type of offence is more prevalent than thought. My second novel in the ‘Avenging Cat’ series for Crooked Cat Publishing, to follow Catalyst (due for release probably this December), is entitled Catacomb. I’m working on it now. Quite a fair bit of the story takes place in Morocco. Here are a couple of snippets of current news from that country. There’s a continuing and unrelenting surge of migrants seeking access to Europe. One of the potential conduits is through the two Spanish enclaves of Melilla and Ceuta in North Africa. Both enclaves have a border with Morocco. Although Morocco gained its independence in 1956, Spain claims a historical right to these two enclaves. Oddly, Spain does not recognise any such historical British right to control Gibraltar. Just over a week ago, migrants made seven attempts to rush the fence in the span of four days. After two months of relative calm, about 1,500 migrants tried to cross the border into Melilla; some eighty managed to make it past the six-metre (20ft) razor-wire border fence, but were later apprehended. Moroccan authorities have raided makeshift camps, mostly while the ‘residents’ are sleeping. Everything was flattened or destroyed – plastic tents, food and spare clothing. Hundreds of migrants were put on buses to Fez and Rabat. Apparently, they are then abandoned in the street and end up begging for money to return to the border. In another report, human rights individuals claim the Spanish police have beaten migrants and illegally forced them back into Morocco when they tried to climb over the border into Melilla. They’re called ‘illegal pushbacks’ and ‘illegal expulsions’ of ‘migrants’. Migrants usually possess documentation, to prove identity, for example. Some potential immigrants go so far as to erase fingerprints or destroy ID documents. The pressure has been mounting for years in this area – people trying to reach Europe to escape war, oppression or hardship in the benighted continent; though latterly, there may be other less humanitarian reasons to infiltrate into Europe. On the other side of the coin, Spanish government officials have praised the ‘exemplary and humanitarian conduct’ of the border guards and also admit there is ‘dramatic migratory pressure’ on Europe’s borders. Amazon COM - what, no reviews? 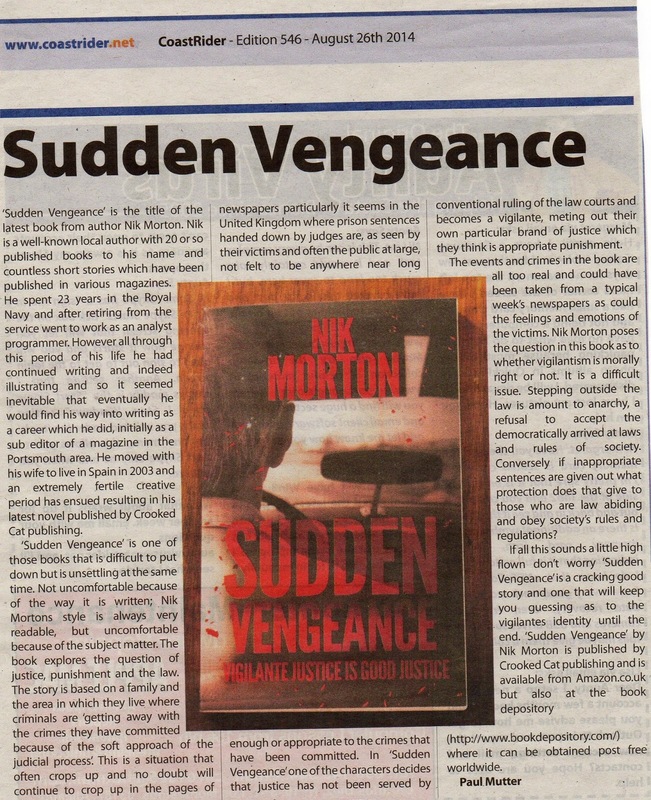 I've just seen the latest edition of a local weekly newspaper, The Coastrider and was very pleased to see a review of my book Sudden Vengeance (published by Crooked Cat). Here is the full review, below (click on the image and the text should be legible). I particularly liked the phrasing 'Sudden Vengeance is one of those books that is difficult to put down but is unsettling at the same time.' Because the subject does tend to be a controversial issue, especially in recent times. Crime, justice and vigilantism. 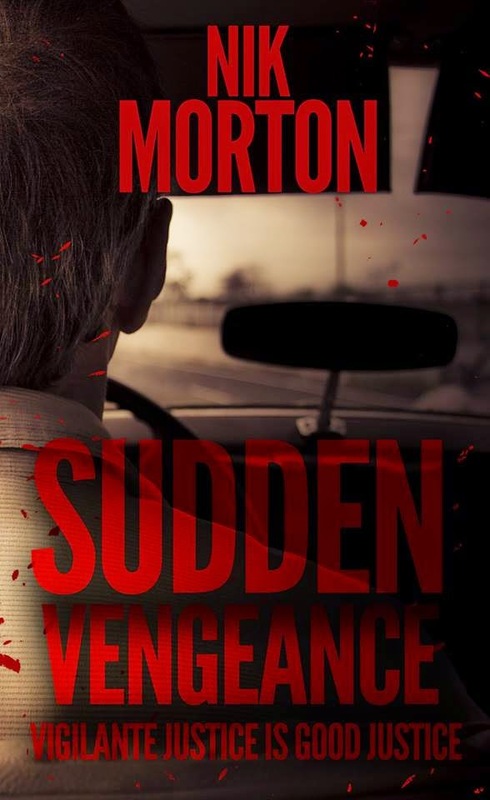 Over on Catriona King's website this week, you'll find me talking about my novel, Sudden Vengeance. Please drop by. 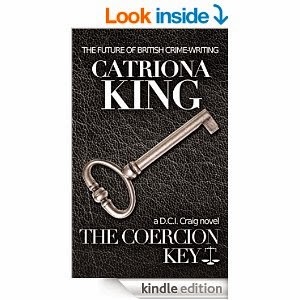 Catriona's eighth Craig crime novel is out in November from Crooked Cat, and her ninth in the spring, 2015. The latest (7th) is The Coercion Key and readers don't need to be coerced to buy it, they're doing so in droves already. Join the queue of admirers! Illegal immigrants are never far from the news reports these days. The conflict in the Middle East and North Africa contribute to the vast numbers of stateless persons, but there are those who have travelled from as far off as Afghanistan. The tide, it seems, barely can be stemmed. The perceived attractions of Europe beckon. The tragedy is that so many individuals are duped into taking the risk of entering another country illegally – and the risk is great. They part with large sums of money, believing the traffickers will settle them incognito in another land where financial benefits can be obtained. The stark truth is different, of course: the illegals will end up dead in transit, or as virtual slaves on arrival. For a few years now, Spain has deployed a sophisticated radar system that tracks illegal boat people. As recent as last week, some 1,219 crossed the Straits of Gibraltar in 125 boats – and that was in just 72 hours. Of this number, 98 were women and 30 were children. They were taken to the Tarifa sports centre for Red Cross medical checks; this venue is being used as the local immigration temporary holding centre is already full. There is a build-up along the coast of Tangier of people seeking a means to cross the Straits – despite Morocco’s attempts at seizing them; it was even reported that the numbers were so great that the authorities turned a blind eye for 48 hours in order to reduce the numbers! Here on the Costa Blanca last week three boats were intercepted, holding 13 adults and six children, Moroccans or Algerians. Usually, after medical checks – the main problem is dehydration – they are sent to centres for internment of foreigners in Murcia or Valencia. The children are sent to a child protection centre. 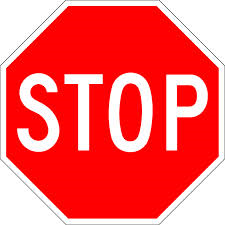 Of course, besides the increased load on receiving countries’ infrastructure – hospitals, schools, police – there is the very real concern that among these illegal immigrants may be individuals intent on doing great harm; and latterly, there is now the concern over the spread of the dreaded Ebola disease. It was a motley collection of humanity: pregnant women with hypothermia, children whose ribcages were visible through the taut skin, and once-strong lithe men with exhausted faces and wary eyes. A short distance, but often a treacherous journey. Even though they were staring down the barrels of guns, these were the lucky ones. Countless people died making the crossing every year. Desperation does that. Since my country’s agreement with Morocco and the erection of barbed wire along the common border, it is now virtually impossible to enter Spain through the Ceuta route. So thousands go further along the North African coast and pay their entire savings to board any old boat that will sail for Tarifa or some other beach along the southern coast of Spain. Thousands even attempt the seven hundred mile crossing to the Canary Islands, and many more perish in the attempt. 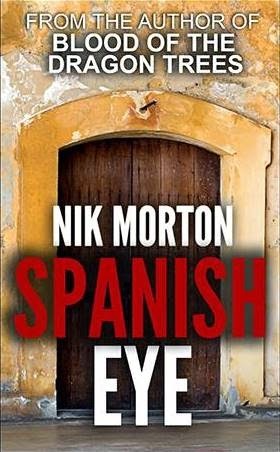 His face shaded by a Norfolk hat, Andrew Kirby studied the crowd of holidaymakers and locals gathered on the edge of the Los Cristianos dockside, opposite the many expensive yachts and luxury cruisers. A few tourists pointed digital cameras and camcorders. Beside him – on the official side of an area cordoned-off by police tape – stood Lieutenant Vargas. Beneath his olive green cap, Vargas’s dark eyes scanned the area from behind designer sunglasses. Vargas gestured at the beach. ‘As you can see, Mr Kirby, I have my hands full these days.’ He spoke in English as Kirby had confessed his Spanish wasn’t too good. ‘Yes, I can see only too well,’ Kirby replied. Tall, blond, tanned and dressed in khaki shirt and shorts, Kirby felt rather unkempt next to Vargas, who was immaculate in his avocado green uniform with its two gold star shoulder-flashes. Vargas had thick lips, a prominent chin and slightly protruding ears. He exuded competence and authority. Kirby looked out to sea. Offshore, the twin diesels of the Guardia Civil boat Rio Palma purred, perhaps reflecting the satisfaction of its crew. Forty-four African illegal immigrants were being helped ashore from their dilapidated 30ft-long open boat. The immigrants struggled to stand, their legs unused to firm ground after a seven hundred mile sea journey. Policemen wore protective facemasks and paper bodysuits and, with practiced ease, they stripped the Africans of their filthy clothing and dressed them in garish shell-suits and flip-flops. A mobile field hospital was drawn up on the dockside. Ambulances started ferrying the few who were being brought ashore on stretchers. A handful of onlookers moved closer then hastily backed off, their faces revealing disgust and shock. Both also available as paperbacks. David Clement, the Transport Minister, offered his best politician's smile – a bit toothy yet still attractive. Sympathetic, but strictly provisional. He stepped out to face the protesters, staff, press and curious guests in the hotel lobby. A dark-haired bearded man in a red anorak launched into an angry tirade and David overheard Mason from The Mirror comment about ‘red rags and bull’ but he bit back a retort and kept calm this time. David’s outburst about speeding in built-up areas last week had made the front pages. His tenuous lead in the pre-election polls suggested he should be more prudent as the majority of voters drove cars and were disenchanted with the law-abiding majority being tarred with the same brush as the reckless minority. So instead he made mollifying sounds and absently took the offered bulging document wallet off the man. ‘I’ll see what I can do,’ he said. His eyes hardly lingered on the irate petitioner but peered over the man’s shoulder, drawn to the blonde woman carrying another bundle of petitions. She was saying something about the need to curb speeding on the road that passed her house. The road's name rang a vague bell, but he wasn't listening properly because he was mesmerised by her startling light blue eyes. There was an earnestness in her gentle voice, with none of the usual rude shrill of self-interest groups he normally faced. She was luminous. There was no other word to describe her. Classic oval face, high cheek-bones, an alabaster complexion, and those glorious big eyes - emphasised by her smart ivory-white jacket and long pleated skirt. She didn’t seem to be the standard bimbo some groups wheeled out to draw the attention of the television cameras to grab extra sound-bites for their cause. Amidst the hubbub, the shouts of "Over here, Mr. Clement!" and flash-cameras firing, he whispered, "What did you say your name was?" She hadn't, but now she said, "Sade Revenant," pronouncing it sh-ar-day reven-awn. "What, like the singer? What was the song?" He missed her answer as they were jostled apart but he caught her charming smile, cheeks dimpling. A few minutes later after fielding further questions on the sorry state of the railways, he pushed through the crowd towards Sade. "I'll talk about your petition," he whispered, "but it's too public here - meet me at the Trattoria - 4pm." Strangely elated at this rash decision, he offered the usual bromides to everybody else then strode off with his secretary Joan trailing behind with his bulging leather briefcases. David was pleased with himself. At this morning's Party Conference he roundly castigated every transport minister since the invention of the car, bemoaning the lack of political will over increased traffic pollution, fast cars and over-weight juggernauts. He condemned the easy-option money-grabbing speed-traps, arguing for sensible policing instead. The public loved it, which was more than could be said of his fellow MPs, who were probably jealous of his current popularity. Yet his rational side kept reminding himself: you'll be a ten-minute-wonder, then forgotten. Sade sat in a corner booth. Beside her he felt positively dowdy in his cavalry twill suit. "No." She eyed the pile of petitions beside her on the bench seat. "I'm not hungry." "Oh." He tried to hide the crestfallen look on his face. On the way he had fantasised that she might be attracted to him. Few women were, he reminded himself, so why should she be any different? He was considerably older than her and now at that vulnerable age where his paunch threatened to shorten his life if he didn’t cut down on the alcohol and fast-food. Her glance at the petitions reminded him of her purpose. She’d make a good politician, he thought. Single-minded. "Do you want to arrange a photographer?" he asked. "Pardon?" She looked askance at him. "For the papers - you handing me the petition?" He smiled. "I won't mind..." he ended feebly. "No, thank you. Just take them when you go, if that's all right, Mr. Clement." "Fine.” Clearly, I was being too cynical. She just wants me to take the petitions. No ulterior motive... “I won't forget them, Miss Revenant. Is that a French name?" "Could be. Call me Sade. Please." His pulse suddenly raced. "Sade," he repeated stupidly. Then, after faltering for a second, he managed, "You can call me Dave." "I rather like David. It suits you." At his words she lowered her eyes and for a fleeting second colour suffused her alabaster cheeks. "No, thank you. Adam's ale will be fine." "Adam's-? Oh, yes - water." He ordered a Perrier and a glass of orange and tonic, reluctantly forgoing the gin. Must lose weight, he chided himself and tried not to pull a face when he tasted the non-alcoholic drink. No gain without pain. “No Ordinary Love,” she said out of the blue. David warmed to her. She got a divorce five years ago when her daughter Rachel was two. She really seemed to enjoy his few anecdotes about the Corridors of Power. She'd read many of the books he'd enjoyed – including C P Snow’s monumental series - and disliked the same violent, foul-mouthed films he detested. Her petition was to reduce the speeding throughout the county, she explained, not just her road. Guiltily he recalled Sade's first letter - some six months back. He'd asked Joan to spike it with the others, all doubtless well-intentioned but too demanding on his precious time. He’d wanted to steer clear of controversy – until today’s Party Conference, when it seemed as though he was inspired, perhaps subconsciously recalling those spiked pleas. She talked about her daughter – a friend was watching over her tonight, she explained. The place was closing when he said he wanted to see her again. Only too aware how intrusive the press could be, he suggested meeting Sade in a quiet restaurant but she turned him down. “Oh,” he said. A bit public, he thought, but shook hands on it – hers was cool and light. As he waved her off in the taxi, David suddenly realised that for the first time in his life he was in love. The fact that at fifty-two he was at least fifteen years her senior didn't matter. Amazingly, the attraction seemed mutual. She was waiting for him by the lake, kneeling beside a girl of about seven with the same hair and complexion. He hailed Sade. He knelt on one knee and shook the girl’s cool gentle hand. “Pleased to meet you,” he said. “Likewise, Mr. Clement. Would you like to feed the ducks with me?” she asked, offering him a paper bag filled with pieces of bread. “Free to fly into the sky!” Rachel giggled. “Academic,” she mumbled, turning serious. “Good for you. An honourable profession, teaching.” He ignored the little girl’s puzzled look and left them in the park to get back to work. David discovered how empty his life seemed before he met Sade and her daughter. Although he was attracted to Sade, it wasn’t merely sexual chemistry. He’d had plenty of dalliances – discreet but short-lived, but this was something quite different. His secretary Joan found him at his desk one morning, pleased with himself. "I think this'll make a perfectly smooth and hopefully speedy journey through the House." He handed her the scribbled Private Member's Bill. "You've done the poor lady proud, sir." Sitting at her computer desk, Joan smiled sadly. "A fitting memorial to them." His heart lurched. "What are you talking about?" The truth came tumbling out. About six months ago, a week after writing her plea to him, Sade and her daughter Rachel were hit by a speeding car and killed in her road. “A petitioner I met.” Who also happened to have a daughter called Rachel. “Revenant is a strange name, isn’t it? It sounds French to me,” Joan observed while accessing an Internet search engine. “Oh?” A chilly sensation skittered down his spine. He glanced over her shoulder. The definition was quite clear: A person who has returned, esp. supposedly from the dead. Somehow he joked his way out of the discussion. Must be a mistake. Days passed but Sade never kept any of their usual appointments. By some eerie force of will Sade had shown him, ever so eloquently, what she and her daughter had missed through being killed by a thoughtless driver - love, laughter, tenderness, the enriching of other people's lives by their very presence. All swept away. But, he vowed, not forgotten. Because he loved her and would strive to his dying day to make the roads safer. His mouth curved in the ghost of a smile. Like the song said, this was no ordinary love. Previously published in The New Coastal Press, 2010. 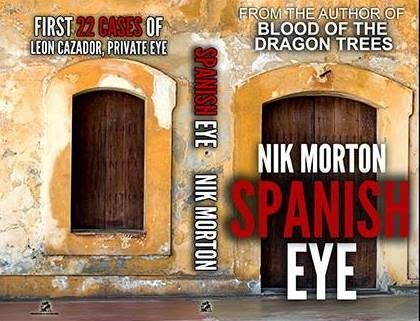 If you liked this story, you might like my collection of crime tales, Spanish Eye, published by Crooked Cat, which features 22 cases from Leon Cazador, private eye, ‘in his own words’. 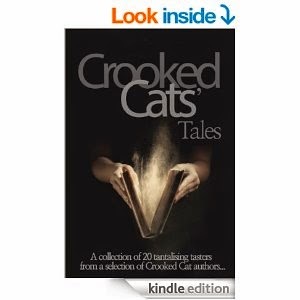 He is also featured in the story ‘Processionary Penitents’ in the Crooked Cat Collection of twenty tales, Crooked Cats’ Tales. Books – Crystal balls at the ready!